I can’t even begin tell you the emotion stirred in me. Blue Skies and Lake Lunches. 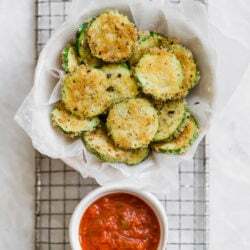 Parmesan Zucchini with Whole Wheat Bread Crumbs. Amazing. Sometimes the simplest things are the most powerful. I agree, it looks pretty perfect to me too!! How beautiful, wish I was there :) I love the last sunset picture- gorgeous! Those pictures are are serene and beautiful! Amazing! So glad you’re having such a great time! I bet it was even better in person! The photos alone make me feel all warm inside. Simply beautiful. WOW that looks amazing. You’re making me want to run away from work. Such gorgeous photos. I could feel the emotion in them. Beautiful.